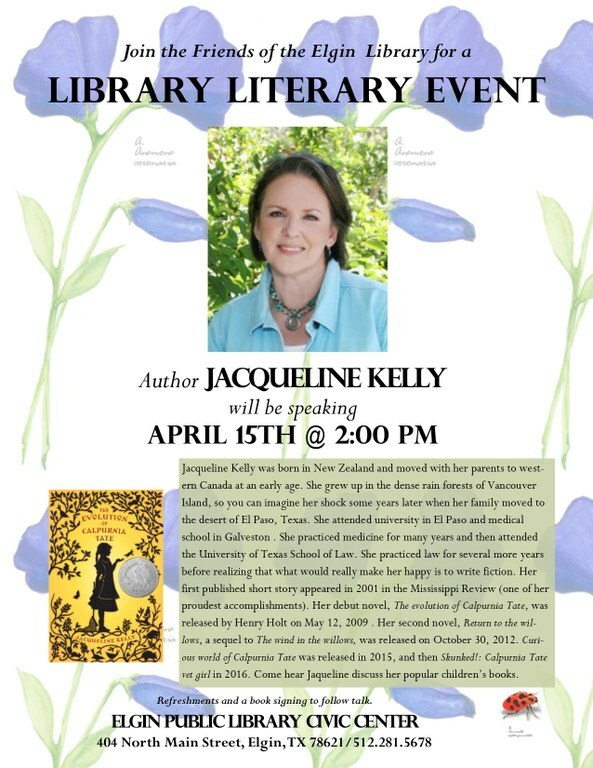 Friends of the Elgin Library Literary Event featuring Jacqueline Kelly, author of the popular Calpurnia Tate juvenile series, and Return to the Willows. April 15, 2018 at 2:00 pm. Attendees All welcome to this family friendly event!